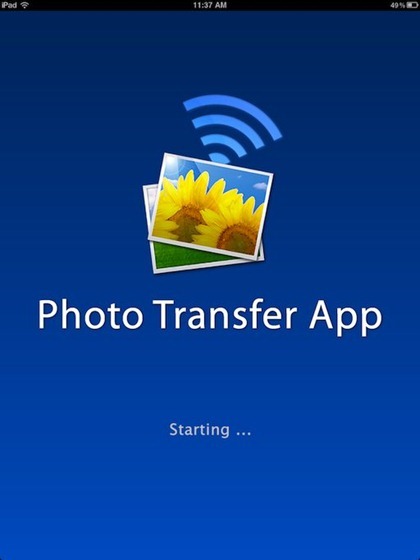 Photo Transfer App – a superb app for iPad and iPhone that lets you quickly and easily transfer photos and videos between iOS devices and computers – has been updated this week, to Version 2.3. The first item is the big step up here – the ability to continue photo and video transfers in the background. I tested this with both photos and videos, switching out of the app on both the sending (iPhone) and receiving (iPad) device – and both transfers went through without a hitch. This was already a stellar app, as I outlined in my review of Photo Transfer App back in January – and the new background transfer feature is a great addition to it. I love it when great apps just keep getting better. Here’s an App Store link for Photo Transfer App; it’s a universal app (designed for both iPad and iPhone) and is priced at $2.99. 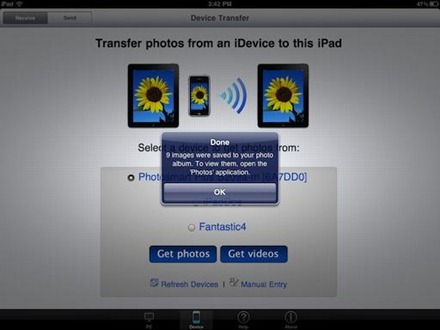 Photo Transfer App has rapidly become a favorite app for me – on my iPad and iPhone. As its name suggests, it’s an app that makes it easy to transfer photos (and videos) over WiFi – from iPhone or iPad to a computer, and between your iOS devices.